T-shirt weather is upon us! National Burger Month is upon us, so if you ever needed a justification for expanding your burger repertoire, there’s no better time than the month of May. A culinary icon which comes in all different shapes, sizes and flavours - the burger has the ability to bring instant happiness to all it encounters. 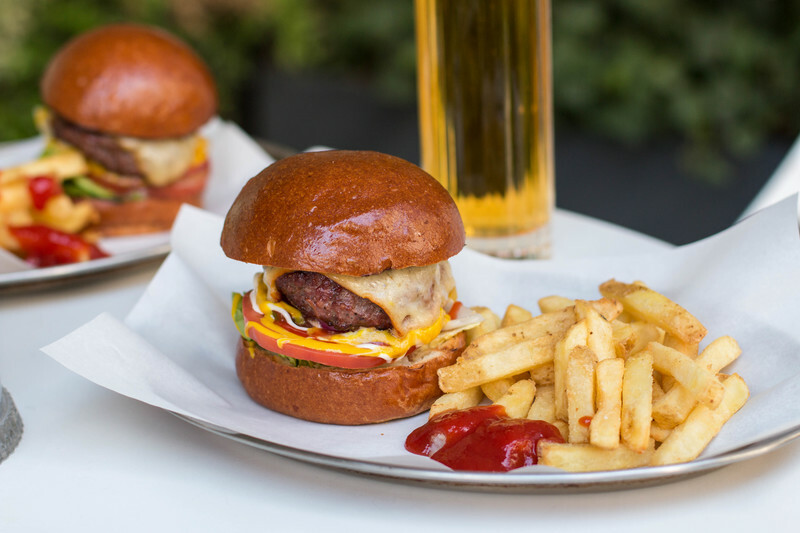 From two-handers to sliders, Sanderson and St Martins Lane have got you covered with some of the best burgers in London. When it comes to Sanderson’s Filthy Burger, there’s no messing around. From the beef short rib and brisket to the fresh-ground chuck makes this patty unapologetically meaty, complete with a helping of bone marrow for that extra flavour and juiciness. Finished with lettuce, tomato, red onion, pickles and a side of fries, for just £18, this winning combination is not one to be missed. Three is the magic number, right? Perfect for sharing, these little sliders deliver big beefy flavours to The Den. 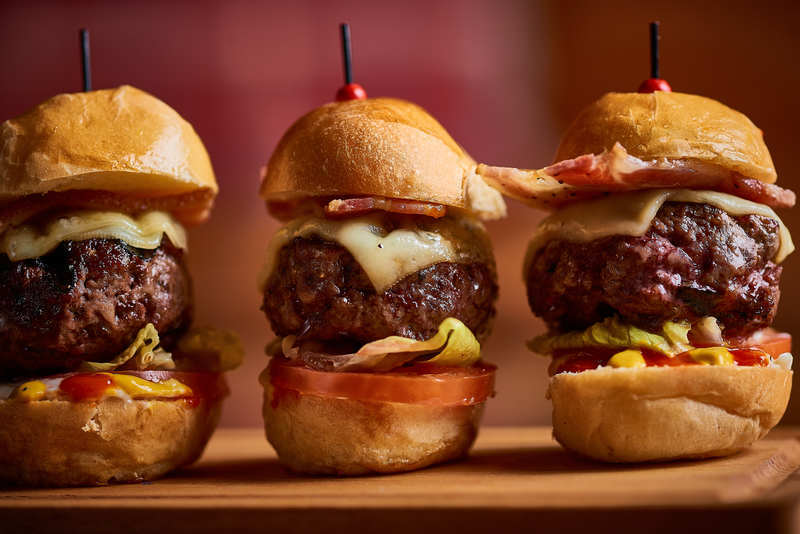 Topped with Swiss cheese, lettuce, tomato and gherkins, these simple but effective meaty marvels are a steal at £16. So what are you waiting for? Pass us the ketchup.